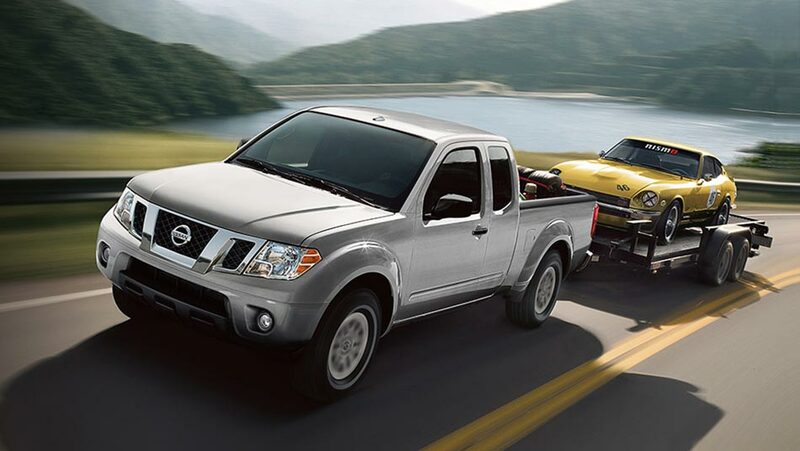 No other truck on the market has employed the idea of staying true to tradition better than the Nissan Frontier. It’s kept much of the same great features you’ve come to love over the last few years, with a few extra changes along the way. But for the most part, the Nissan Frontier is still the same truck with rock-solid performance and handsome styling—all for the starting price of $24,498. Learn more about this timeless pickup truck, here at your south Edmonton Nissan dealer! Much of the Nissan Frontier’s features remain intact for the new model, with the exception of an all-new 7-inch touchscreen now standard across all models. Otherwise, you’re getting the Frontier’s fantastic performance that’s helped it stand the test of time for the last few years. For starters, its V6 engine continues to produce up to 261 horsepower and 281 lb-ft of torque, along with a towing capacity of up to 6,710 lbs. Plus, its mechanical systems like Hill Start Assist & Hill Descent Control, Electronic Locking Rear Differential, and more helped solidify the Frontier as the pickup truck of its class to beat. Not only does the Nissan Frontier excel at performance, but also at every other aspect you would want out of a modern vehicle. Outside, this truck incorporates durable high-strength steel and chrome detailing throughout its body for a look that stands out on the road. When you step inside the Frontier, you’ll notice its smart blend of function and style from looking at its five-seater interior with rear door access, an under-seat storage bin, and a 60/40 split flip-up rear bench. 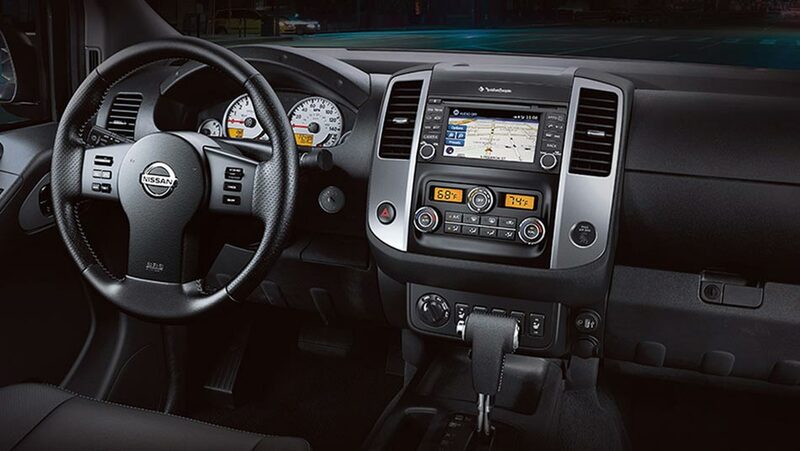 Additionally, this truck is just as safe to drive as it is comfortable thanks to advanced safety features like the Nissan Advanced Air Bag System, Anti-lock Braking System, Electronic Brake Ford Distribution, and more. Test Drive the Nissan Frontier, today!